I'm so excited to be one of the blogs featuring this new cover and blurb! From what I've heard about this book, it promises to be great! 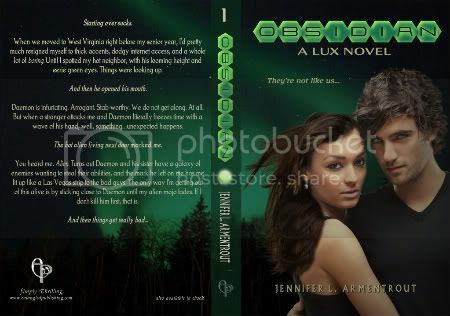 And now, without further ado, I present Obsidian by Jennifer L. Armentrout. Kind of sounds a little like Roswell with the light up markings.